Los Angeles is pretty star struck these weeks before the Oscars, as usual. But over in nearby Pasadena, a crowd of art lovers is visiting this 400-plus-year-old star painter at the Norton Simon Museum. 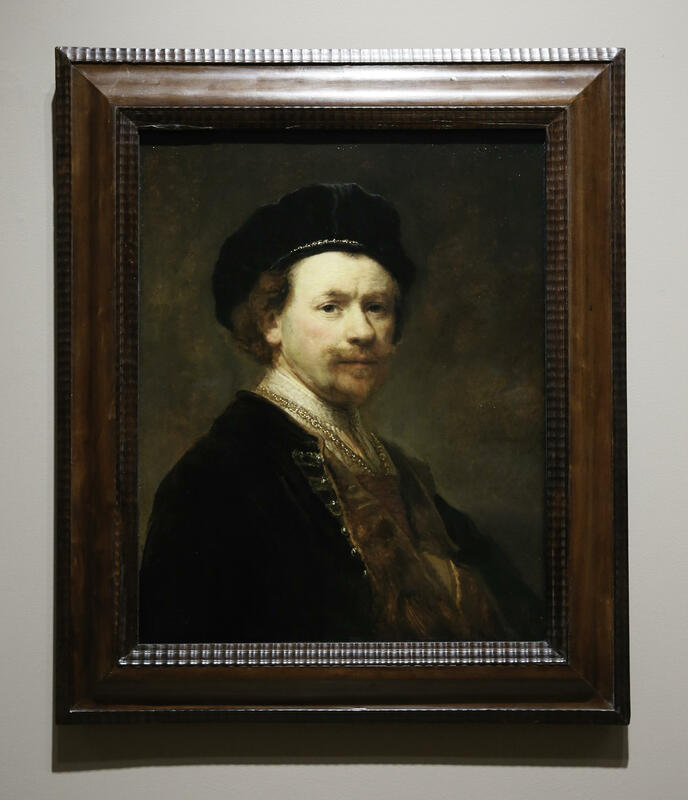 It's the 17th-century Dutch master Rembrandt. A pair of self-portraits made in his early 30s are the focus. NPR special correspondent Susan Stamberg paid the young painter a visit. SUSAN STAMBERG, BYLINE: To do any art story, you interview the curator. For this one, I brought in a second expert, not in art but in faces. In her work, she looks at thousands of them. And her gut reaction, how she feels about what she sees, can lead to movie and TV roles. MARGERY SIMKIN: This wouldn't be somebody that could be a bad guy. STAMBERG: Margery Simkin is a casting director. She's found actors for "Avatar," "Top Gun," "Field Of Dreams." Right now, TV's "Star Trek: Discovery." SIMKIN: There's a softness. There's a kindness in his eyes. STAMBERG: She's looking, for the first time, at a self-portrait Rembrandt made in the late 1630s when he was a young man on the move. At 32ish - hard to pin down a specific date - his artistic star was rising. He's gotten a solid reputation in Amsterdam as a portrait painter at a time when portraits were the rage. In this one of himself, Rembrandt looks right at us, his forehead furrowed a bit in concentration. He has a pale, reddish mustache, a smudge of goatee, a dark brown jacket and a soft cap. GLORIA WILLIAMS SANDER: You know, the velvet cap is something that most people were wearing in the 16th century. 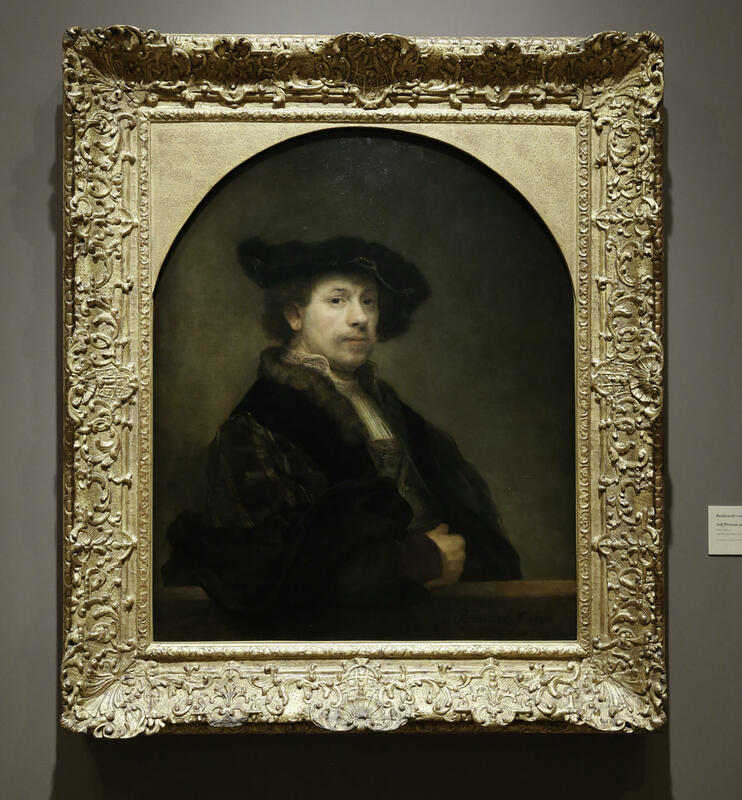 STAMBERG: Curator Gloria Williams Sander says by Rembrandt's century, the 17th, it was passe. WILLIAMS SANDER: But because he appropriated it, because he's becoming such a well-known artist, he quickly set a fashion that exists today where the beret is associated with the painter. WILLIAMS SANDER: Yes, and all of his peers followed him within years. SIMKIN: There's a tremendous intelligence in his eyes. STAMBERG: And if she were to cast him, what kind of role would he play? SIMKIN: It would be a white-collar job, the manager of the baseball team and not the baseball player. STAMBERG: Too fleshy for an athlete. He didn't buff up for his portrait. SIMKIN: It's not particularly flattering. He hasn't gone out of his way to make himself look hunkier. STAMBERG: A character actor, she thinks. SIMKIN: He's not a leading man. STAMBERG: He's not a leading man. And he doesn't improve much with age. That is clear in the second painting at Norton Simon, on loan from the National Gallery, London, and shown in the U.S. for the first time. Rembrandt made it two years after the other one. In "Self Portrait At The Age Of 34," he's changed. SIMKIN: There is an arrogance in this one. Yeah. He looks much snobbier. STAMBERG: Curator Sander says there's a reason. WILLIAMS SANDER: He is a success, and that's exactly how he wants to portray himself. STAMBERG: He is working at his peak, has money, nice clothes, a better brown, velvety-looking coat. WILLIAMS SANDER: With a fur lining along the collar and silk-striped sleeve. WILLIAMS SANDER: This is not the way a 17th-century Amsterdam Dutchman would have portrayed herself on the streets. STAMBERG: Rembrandt's clothes would have been worn in much earlier times by earlier masters, the Italian artists Titian and Raphael. He has painted himself into the pantheon of Renaissance gods as their equal, or maybe even their rival. WILLIAMS SANDER: In rivaling them, while acknowledging them, he demonstrated his own inventiveness, his imagination, his ability to go beyond to the next step. STAMBERG: That's self-confidence - chutzpah, really. But it's going to change. 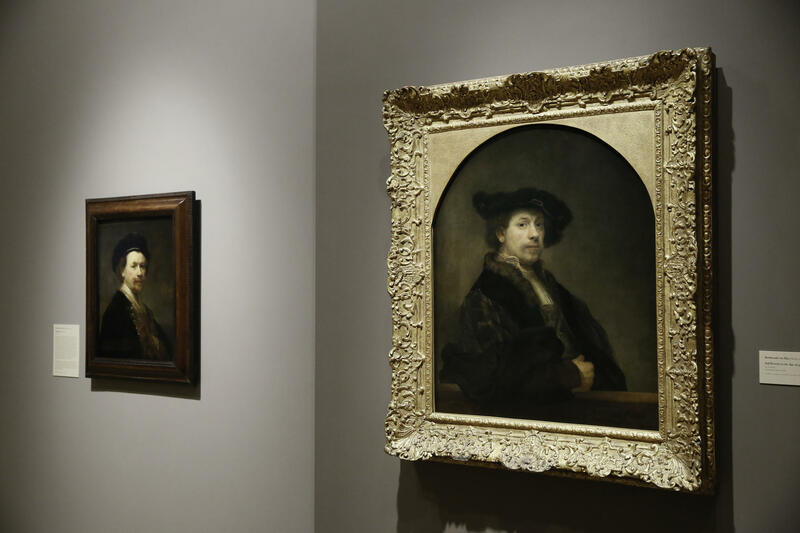 These two self-portraits were made when 30-something Rembrandt was in the middle of his life. He's literally middle-age. He will die some 30 years later in debt, broken, destitute, buried in an unmarked pauper's grave. The artist will trace all that on canvas - 80 painted self-portraits, at least 20 more drawings and prints. Why so many? Well, it wasn't vanity, curator Sander says. The self-portraits were like a diary. WILLIAMS SANDER: Keeping track of himself at stages in his life. STAMBERG: Never flattering, never less than a relentless observer, and one of the greatest painters the world has ever seen. SIMKIN: For me, he looks like he's drinking more in this one. He's more flushed. STAMBERG: At the Norton Simon Museum in Pasadena, where casting director Margery Simkin, the storyteller, and curator Gloria Williams Sander, with her scholarship, cannot stop talking about what they see. I'm Susan Stamberg, NPR News. SIMKIN: But I just wonder if the snobby-ness had something to do with his decline. You know? All right, enough. He's being so snobby. He's charging so much. He's being so difficult about doing the work. To heck with him. We're going to go on to somebody else. I'm just saying. WILLIAMS SANDER: No, that's a good point. WILLIAMS SANDER: It's a good point. Transcript provided by NPR, Copyright NPR.